I have been to a lot of Fun Mom Dinners and Girls Night Out. I’m very luck, I know this. It’s really good thing to try to do them as much as possible. However it happens, it’s a wonderful thing and it really doesn’t matter what goes on, does it? I love to host them or go to someone’s house. It’s also a lot of fun to have a real girls night out on the town! It can be with my besties, my good friends, or even, like in the case of this movie, some great girls that I’d love to get to know a little bit better. Maybe it’s night in NYC, a dinner at home, Thursday night painting, or our monthly Bunco game. It’s all a good time, especially when the kiddos are home in bed, and the food and libations are flowing! LOL! With your girlfriends around, what more could you possibly need, right??? 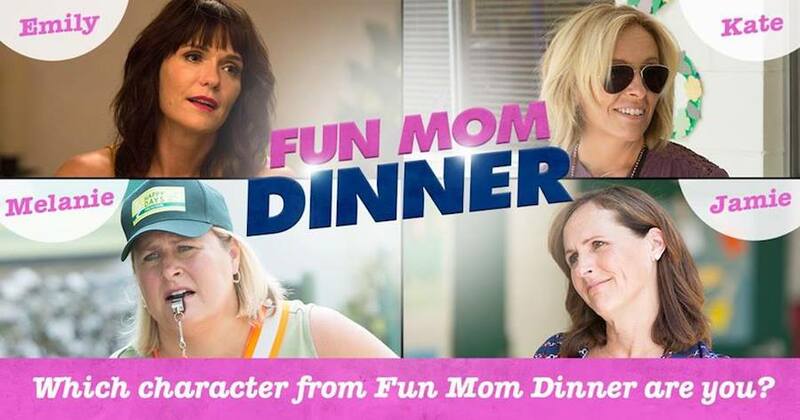 So I guess I am pretty much the target audience for “Fun Mom Dinner,” about a group of ladies who get together for some silliness and good times when the kids and dads are in bed!! It’s a great idea for a movie, and I’m all in!!! Tell me you can’t relate to this??? You love this, don’t you? I think your interest is piqued and you are ready for a night out! Now, for a little bit more…check out the hilarious trailer right here! So, what one are you??? Love, love, love it!!! I got Jamie…and it’s so true! I love organizing girls night out with my girlfriends and I’m all about sharing my ‘me time’ on Instagram. The quiz is fun and the movie is a blast!!! I like all of this so much, maybe it’s time to celebrate ourselves!!! How about a giveaway with some amazing wine?? If this isn’t prime reason to plan a girls night out and Fun Mom Dinner, I don’t know what is!! 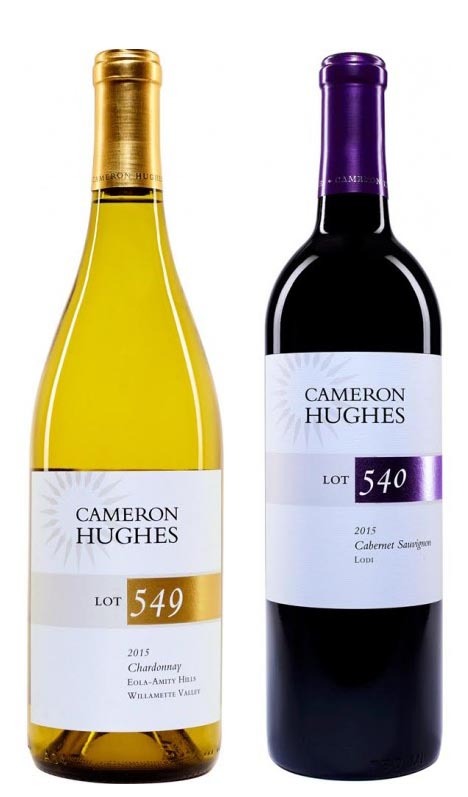 Cameron Hughes best-selling Lot 549 Eola-Amity Hills Chardonnay and the deliciously smooth Lot 540 Cabernet with notes of blackberry and cassis are sure to make for a Fun Mom Dinner! Cameron Hughes Wine** – one bottle of Chardonnay and Cabernet (valued at $27 each)!!! *Open to ages 21+, US mailing addresses only. Prizing courtesy of Momentum Pictures. **Cameron Hughes Wine can ship to the following states: Arizona, California, Colorado, Connecticut, District of Columbia, Florida, Georgia, Idaho, Illinois, Indiana, Iowa, Kansas, Louisiana, Maine, Maryland, Massachusetts, Michigan, Minnesota, Missouri, Montana, Nebraska, Nevada, New Hampshire, New Jersey, New Mexico, New York, North Carolina, Ohio, Oregon, Pennsylvania, Rhode Island, South Carolina, Tennessee, Texas, Vermont, Virginia, Washington, West Virginia, Wisconsin and Wyoming. My ideal fun Mom Night Out/Dinner is at our favorite Mexican restaurant enjoying drinks and great Mexican food! Dinner and a movie is fun. a great night out would be a comedy club show and dinner! I really like any sort of restaurant with nice desserts. An ideal mom night out is a few beers, good food and some yummy dessert with friends and sister. My ideal Fun Mom night out is dinner and wine bar. I’d love to get some friends together to do a Moms Dinner Out at Melting Pot… fondue…always yummy & fun! A fun event with the girls, like a wine walk. I love going out for craft beer and live music! That sounds like it’s going to be a great movie! I LOVE Molly Shannon, so I can’t wait. I love the Painting with a Twist nights. You drink wine and paint a picture – so fun! Movie night and then a bonfire on the beach. I also love a night in, a pot luck dinner and drinks with the girls, we can talk all night long! We had a big girls night out last year and just had a blast. We went to a bar that you can drink, hula hoop and honestly just plain have fun. I think it is great to do nights like this were us mom’s can just let loose. Anything out and away from the kids for a while is great. It’s nice to get away once in a while with no responsibilities. It’s good to have a girls night out. I like shopping and dining. Looks like a fun movie! That poster is hilarious- I think we’d do lots of painting, probably with wine. I do own that onesie…so I’d probably be inspired to wear it. My ideal mom dinner and night out is a nice dinner in a nice place and to see a movie then maybe have a drink. We can’t wait to see this movie for a girls night. Looks really funny! This is a great trailer for Fun Mom Dinner. I am excited to go see it with a few girlfriends. I had not heard of it until now. Oh my gosh, why haven’t I heard about this movie before now? It looks awesome! My idea of a fun mom night out would be anything that doesn’t involve cooking or cleaning! It’s good to have a girls night out monthly, and I love shopping and dining. Looks like a fun movie! I would love to go to a dinner and a movie with my girls. Grilling on the beach or at the river. Once we shared a bottle of wine at lunch and then walked to the nearby goodwill, we were laughing hysterically in that place. A mom night out is so important once in a while to reconnect with friends. Honestly, I enjoy a movie or a great meal with friends. Sometimes it is nice to just relax and be myself. I’d love a night out at a fancy restaurant with good conversation. I really need a night out with my friend! I just love a night of dinner and drinks. Going to a festival with local bands, eat from food trucks and dancing until we can’t stand anymore. My fun night out consists of a nice steak, a few cocktails and some cheesecake with my girlfriends (who are Moms). I love hanging out with friends at the local brewery, chatting about life. My idea of a fun girls night is a movie and dinner. I think going to a painting party and then dinner would be fun. Thank you! I’d love to go out for seafood and good wine! Beer and Karaoke are always fun! A night of dancing with the girls would be a fun night! Dinner and movie with the girls! Going to the movies or club! Just getting together and hanging out with my girls. Going out to see the local bands and dancing. I love taking the train to the city and seeing a show! My idea of a fun mom dinner would be a quiet dinner with several friends and no one calling me “mom” for several hours. It’s always fun to go out with my mom friends to chat and compare notes…and drink wine! Being with my friends and watching a great movie over drinks. I’d love to see a show or a musical with my girlfriends – this is something my husband would never do! I enjoy my time with my husband and children. We always have a fun time. I keep going back to a beach bonfire. I love going out for dinner and a movie! It would getting all my best friends from high school together. Have some wine and yummy food and play some fun games. Going out with my good friends for dinner and drinks, but having a designated driver. My ideal fun mom dinner would be fondue and wine! Going to the river and forgetting about everything else. I think a fun mom night out would be going to one of the restaurants my family just isn’t interested in . Dinner out with my girlfriends, followed by a good movie. A fun night of shopping and drinks. Mine is spending the night out with good friends, dinner or a movie. I love going to the local brewery with my friends! My night out would be one with friends, definitely dinner, maybe a movie. My ideal night out is with good friends, a good dinner with good wine. Going to the local theater for a funny play and dinner after. We have a place here, called The Sawduster’s, it’s always a blast with locals that write the plays. I love going to a nice wine bar! Going to a winery would be a great night out! We have a lot of them locally here. Definitely going out to dinner and then a movie with my good friends. I’d love to go to a movie and then out for drinks afterwards. Ladies night at a favorite bar and then dinner at a great burger joint. I’d love to go out to see a concert! I love going to see a movie or a show and then dinner with good friends. Shopping, food and drinks works for me. My ideal fun mom night out is dinner and movie with my close girlfriends. Fancy cocktails and a nice dinner! Going out to eat and to see a movie! Going to the Pottery Co. and then out for dinner and drinks. My ideal night out includes very close friends, a good dinner with good wine. I’m going to have my ideal night out tonight – drinks on the beach with friends! dinner and then a limo ride into Philly for some dancing would be a great mom night out. Bbq food truck and drinks. I love going out to dinner and the theater! I love going to dinner and then a good movie with my close friends which includes my mother. I would love a night with all my best friends from high school. Eat some yummy food and delicious drinks! Go to a summer night festival and eat from food trucks all night. I love going out to listen to live music! My fun night out would include good movie with my mother. My ideal dinner night out includes lots of pasta, chocolate and preferably a hotel room so I can sleep off all of the fun with no kiddos waking me up! I love to see movies with my best friend, my mother, we spend nights out together. I love going out for sushi! My fun mom night out includes dinner, movie with my best friend, my mother. I like going out for drinks and a nice dinner. A great beach cookout with friends. 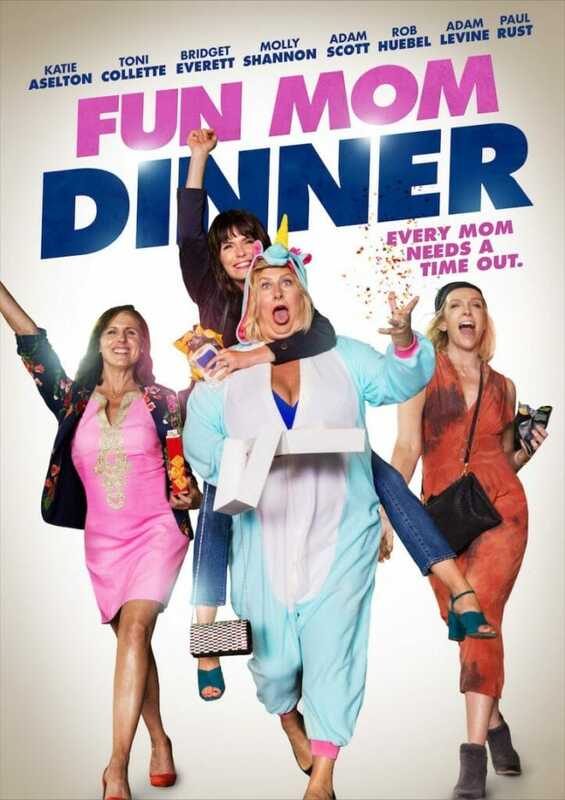 My ideal fun mom dinner night would include dinner and a movie with my mother, and good wine. I love going out for dinner and a show. Definitely karaoke!!! Singing is life!!! My ideal fun mom dinner is to go to a Mexican restaurant where we can drink margarita’s, eat chips, salsa and guac and hear a Mariachi band. Sushi and drinks is always a great time! I fun night out is drinks and a tableful full of appetizers to share with my best girlfriends and sister. My fun mom night out would include dinner and a good movie with my best friend, my mom. My ideal night out is a seafood dinner and a movie afterward.